Visiting Carmel Valley Village and looking for a location to swim? Nice choice! Don't neglect to tell us how did it go. 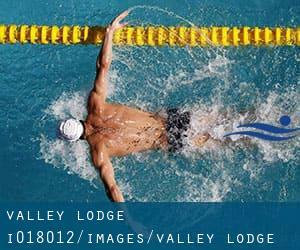 Introducing now Valley Lodge swimming pool, an incredible swimming pool sent by a swimmer like you few days ago. Have you visit this pool? Do you work here? Please, contact us for those who have knowledge which you think is gonna be helpful and recall from now on you possibly can now promote each pool just by sharing this page with your close friends or adding comments in the Facebook boxes below. Come on and help this pool to be the very first in Carmel Valley Village! Among all the activities offered by the center, should you be considering swimming you can expect to enjoy 20 yards, Outdoors. Just in case you would like to contact this Pool before dropping by, we only know the phone number. Do you know Carmel Valley Village? Updated on 2019 185 Robley Rd. , Salinas , CA , USA (Postal Code: 93908). Swimmers like you reported 25 yards x 18 feet, 3 lanes, Outdoors. Phone number and email address are number for this Pool. Updated on 2019 2700 - 17 Mile Dr. , Pebble Beach , CA , USA (Postal Code: 93953). Among all the activities supplied by the center, for anybody who is interested in swimming you can delight in 25 yards, 5 lanes, Outdoors. Just in case you want to contact this Pool before dropping by, we only know the phone number. 117 Clay St. , Salinas , CA , USA (Postal Code: 93901). Among all of the activities provided by the center, if you're interested in swimming you may get pleasure from 25 yards, 5 lanes, Outdoors. Just in case you want to contact this Swimming Pool before dropping by, we only know the phone number. 1148 Wheeler St. , Seaside , CA , USA (Postal Code: 93955). Among all of the activities offered by the center, for anyone who is interested in swimming you will delight in 25 yards, 6 lanes, Indoors. Just in case you would like to get in touch with this Swimming Pool before dropping by, we only know the phone number. Updated on 2019 15 Portola Avenue , Monterey , CA , USA (Postal Code: 93940). Swimmers like you reported 30 yards x 16 yards, Indoors. Phone number and e-mail address are number for this Pool. Updated on 2019 1700 - 17 Mile Dr. , Pebble Beach , CA , USA (Postal Code: 93953). This sports center offers 25 meters, 4 lanes, Outdoors. For this Swimming Pool, only phone number is number here. Updated on 2019 48123 California Hwy. 1 , Big Sur , CA , USA (Postal Code: 93920). Few days ago a standard user of this center told us they offer 25 yards, ""about 2 lanes wide"", Outdoors. Furthermore, they keep in good conditions 25 yards, ""about 2 lanes wide"", Outdoors. For this Pool, only phone number is number here. 920 N. Main St. , Salinas , CA , USA (Postal Code: 93906). Swimmers like you reported 25 yards x 54 feet, 7 lanes, Indoors. Unfortunately we do not have the email address of this Swimming Pool, but we can provide you with the phone number. 2000 Garden Road , Monterey , CA , USA (Postal Code: 93940). This sports center offers 25 yards, 4 lanes, Outdoors. For this Pool, only phone number is number here. Updated on 2019 301 E. Franklin St. , Monterey , CA , USA (Postal Code: 93940). This great and large sports center lets professional swimmers like you enjoy 30 meters x 25 yards, 9 x 12 lanes, Indoors. Additionally, within these facilities you can try 25 yards x 20 feet, Indoors. Unfortunately we do not have the email address of this Swimming Pool, but we can provide you with the phone number. Updated on 2019 615 Sunset Dr. , Pacific Grove , CA , USA (Postal Code: 93950). This sports center offers 25 yards, 6 lanes, Outdoors. For this Pool, only phone number is number here. Updated on 2019 570 Walker Dr. , Soledad , CA , USA (Postal Code: 93960). Swimmers like you reported 25 meters, 6 lanes, Indoors. Unfortunately we do not have the email address of this Swimming Pool, but we can provide you with the phone number. Updated on 2019 100 Campus Center , Seaside , CA , USA (Postal Code: 93955). Among all the activities offered by the center, for anybody who is interested in swimming you will enjoy 25 meters x 25 yards, 8 lanes, 3.5 feet - 13 feet depth, Outdoors. Just in case you wish to contact this Swimming Pool before dropping by, we only know the phone number. The facts of this Pool has been verified recently by a member of their staff.